Adm. Bill Moran, the U.S. Navy’s vice chief of naval operations, said at a Surface Navy Association event in Arlington, Va., that data ownership issues hamper efforts to implement emerging technology, National Defense reported Wednesday. Moran noted the Navy is lagging when it comes to artificial intelligence and machine learning efforts because the service is being denied access to its own data. 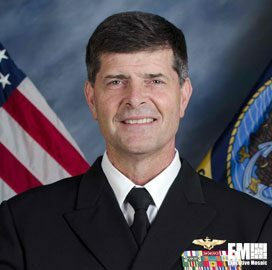 He added that the Navy respects proprietary data ownership, but its sophisticated weapons systems need to obtain the relevant data in order to leverage AI tools to drive predictive maintenance functions. “My message to them — if they are listening — is ‘you don’t own that data. 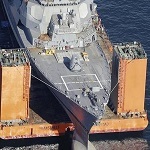 The Navy owns that data.’ Contractors work with us. That data is our data,” Moran said.